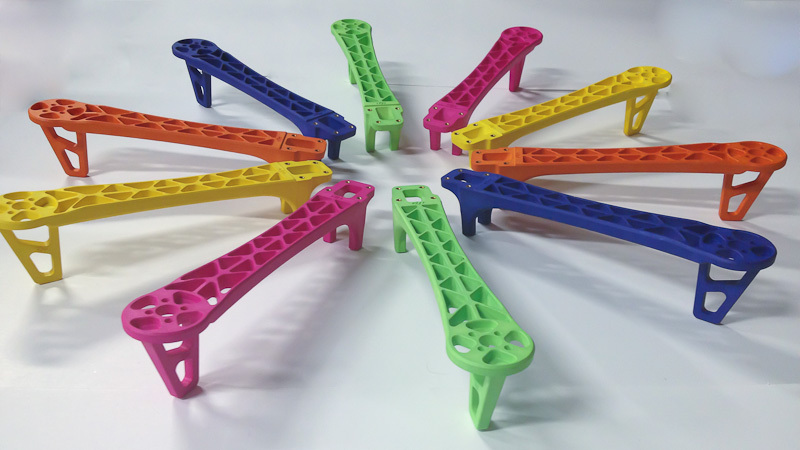 Colorized DJI 450/550 Arms, Now on sale! Choose from Green, Blue, Orange, Hot Pink or Yellow! We’re very proud to add some commerce to our site! Our first product offers some options for the multi-rotor pilot who cares about how their copter looks in the air. We’ve taken authentic DJI 450/550 arms and put them through our dying process so that we can offer them in 5 new colors! This is something that will hopefully fill a niche need with pilots of DJI frames, TBS Discovery, Ov3rQuad, and the many other custom frames which use these arms. Head over our the store to pick up some arms that will surely make you the envy of your flying buddies.